Zero Japan Teapots are hand made from Stoneware and include a stainless steel infuser and removable lid. These teapots hold 450ml. 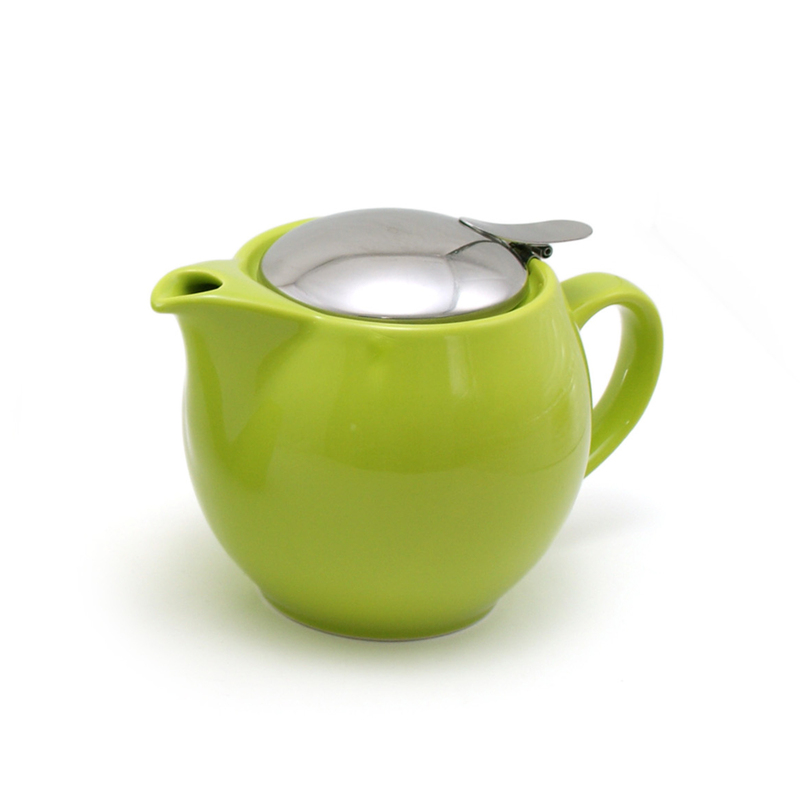 Although this teapot is dishwasher safe, we recommend washing by hand. To keep up dated on our latest products simply sign up to the Tea Junction eNewsletter, your fast track to the latest products, the hottest teas and the must–read stories. To sign up for the Tea Junction Newsletter please enter your details opposite and press “Sign Up”. Our standard deliver charge is 3.99 within the Isle of Man and UK. All orders over £40 qualify for free shipping. If your order is over 2kg please contact us for a shipping quote. We endeavour to dispatch all orders within 48 hours of being received. We deliver to the Isle of Man and UK using Royal Mail. Please see our full Delivery & Returns policy here. We hope that you are delighted with your purchase. We do not accept returns of tea or gin as these are perishable items. You can return your non perishable items by post. However, before you do please e-mail tea@theteajunction.im for confirmation – You must return your purchase within 30 days and enclose your proof of purchase, order/invoice details and reason for return. If you are returning a faulty or incorrect product you will not be responsible for paying the postage however, you will be responsible for the cost of shipping on free delivery orders if you return an item that is not faulty. Please see our full Delivery & Returns policy here. If you wish to cancel your order and you are in the European Union, you are entitled to a statutory 7 day cooling off period where you are not liable for shipping costs. We will notify you of refund once we’ve received and processed the returned item; otherwise no cancellations will be accepted once the order has been shipped. You can choose to collect your order from our tea shop in Douglas, Isle of Man free of charge. Select “Collection: TeaJunctionDouglas” in the Shipping Region Box at the checkout. We will try to have your order available for collection within 24 hours and we will notify you by email when it is ready. You will need to bring proof of address with you. 9.00 am - 5.30 pm Mon – Sat. 11.00 am - 4 pm Sun.